Alix believes the path of yoga is accessible to all people as a means of healing and inner exploration. Her teaching reflects over twenty years of experience and study through various teachers and traditions of yoga, movement, bodywork, and meditation. As a licensed massage therapist, Alix brings a deep understanding of anatomy and alignment into her teaching and hands on adjustments. She greets each class with a fresh eye, using modifications of poses and props as needed to meet the individual needs and level of each student. Alix’s classes combine elements of meditation along with carefully sequenced active and restorative yoga poses, unwinding movements, and pranayama (breathwork), with the overall intention of bringing mindfulness into the yoga experience on and off the mat. 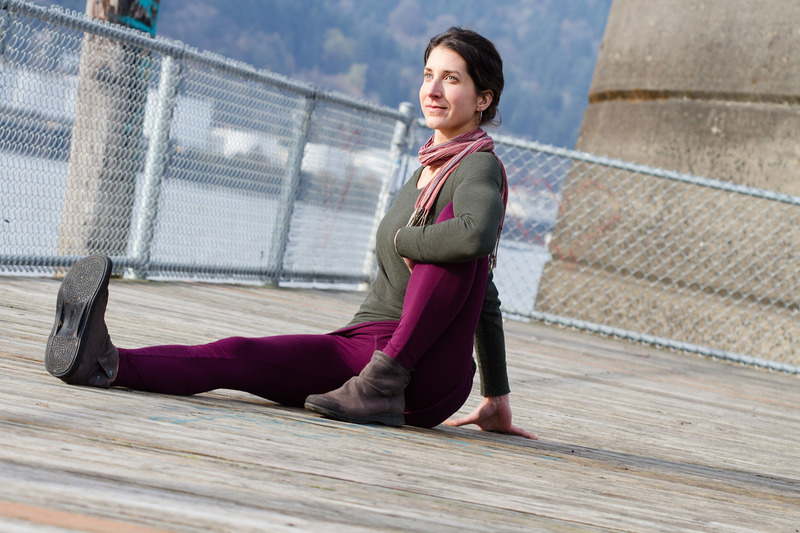 Alix is based in Portland, OR and offers group classes, private sessions, workshops, and retreats both locally and internationally. She specializes in yoga therapeutics, specifically backcare and scoliosis. To learn more about Alix’s current workshops and retreats, please visit her Events page. Alix discovered yoga as a teenager soon after she was diagnosed with scoliosis. While wearing a back brace for several years, she committed to her yoga practice and was able to avoid getting surgery to fuse her spine. Dedication to her daily practice allows her to lead a very active lifestyle. Alix is grateful to be able to share what she has learned over the years with others. Alix is a certified Yoga for Scoliosis teacher through her training with Elise Miller. She sees clients with scoliosis through private yoga sessions, massage therapy, and teaching regular Yoga for Scoliosis workshops. Working one on one with an instructor can be helpful for those just beginning a yoga practice and not feeling ready for a group class, those with specific injury, limitations, or health conditions, or those simply wishing to deepen their yoga practice and/or develop a personalized home practice. Yoga therapy focuses on assisting and supporting the body’s own innate healing processes for those experiencing health challenges at any level. Both science and western medicine are now recognizing the integrated mind-body system as invaluable to holistic well being. Suggestions for specific breath work, meditation, and yoga poses will be given, as well as an individualized home practice. Yoga therapy is part of a holistic approach to healthcare not a substitute for medical attention, examination, diagnosis, or treatment. If desired, the two 60 minute massages can be substituted for additional yoga sessions. To schedule a session please contact Alix. 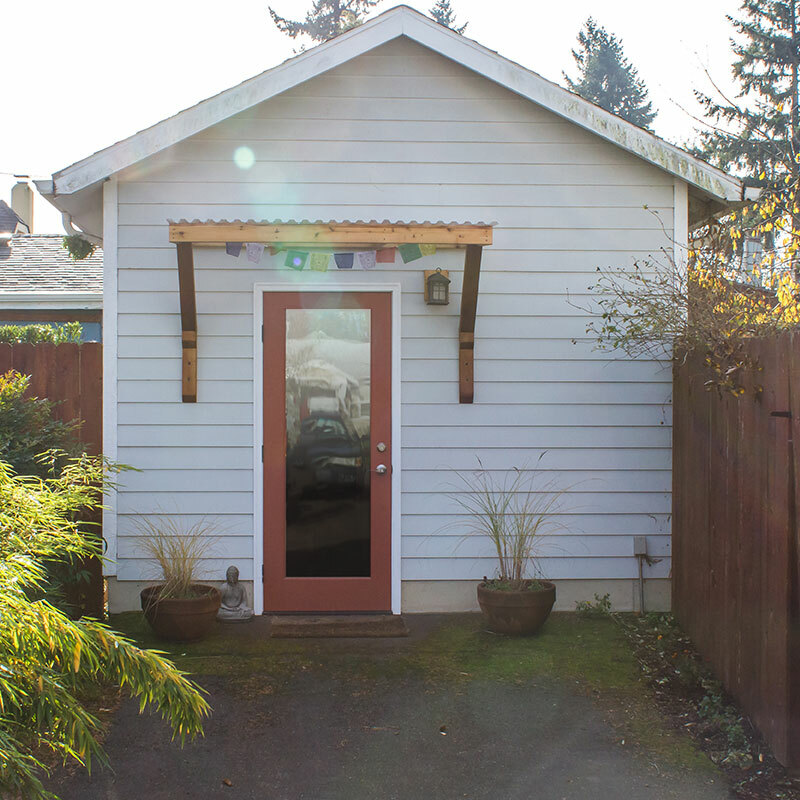 Private sessions are held within Alix’s peaceful renovated garage studio adjacent to her home in NE Portland, unless other arrangements are made with the client. Packages can be used within one year of date of purchase, and are non refundable. They may be shared or transferred to another person. Payment is due at time of service unless other arrangements are made prior to appointment time. Cash, checks, or cards are accepted. Cancellations: Please allow 24 hour notice for cancellations and rescheduling. Payment will be required for for sessions cancelled in less than 24 for hours, unless due to sickness or emergency.